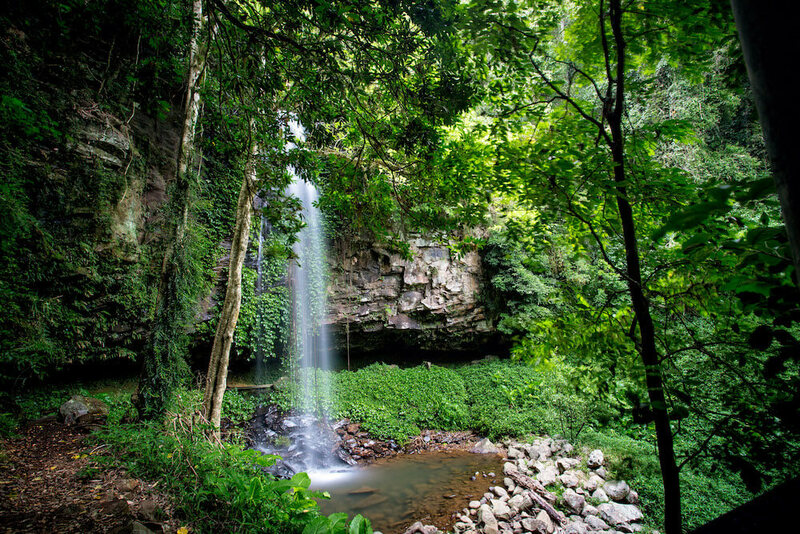 Sitting on the doorstep of the World Heritage Dorrigo National Park, it’s no surprise that this area is a wealth of wildlife and nature experiences, and one of its most unique is the opportunity it offers for bird watchers. Accessible from the Dorrigo National Park Rainforest Centre, just a few minutes’ drive from Lookout Mountain Retreat, is the amazing Dorrigo Skywalk. Taking you high above the rainforest canopy and overlooking the park below, it not only gives a spectacular view of the surrounds, but it’s the ideal vantage point to spy some of the 200 species of birds recorded in the area. While some are purely summer-time visitors, there’s many resident birds that can be viewed all year round. A kilometre from the Visitors Centre is the tranquil Glade picnic area where commonly observed birds like the Brush Turkey, Eastern Yellow Robin and White-Browed Scrubwren can come to you. From the picnic area an elevated “walk with the birds” boardwalk takes you beyond the forest floor and closer to the canopy, where fruit doves and Paradise Riflebirds are known to regularly feed. Another walk which kicks off from the Glade is what’s known as the Satinbird Stroll, a short look through a section of the rainforest thick with plant life and a favourite resting point for the Satin Bowerbird. The best known of all the Bowerbirds, the males of the species are well documented for the fascinating bowers they create to lure in females. The sound of one of Australia’s best-known birds, is often heard reverberating through the forest. Lyrebirds have the incredible ability of being able to mimic almost any sound and they sing both to proclaim their territory and to attract females. Just a couple of kilometres north of town, the iconic Dangar Falls, presents another great bird watching opportunity with a short walking track delivering you to the rocky riverbed where species like the Golden Whistlers, and Red-browed finches are known to visit. Within a short drive from Dorrigo are other national park’s and towns that provide different habitat for many bird species, like Bellingen, just a 30-minute drive away. Bellingen Island, now best known as Bat Island, is a 3-hectare parcel of land next to the Bellingen River and just a short stroll from the town centre. This pocket of rainforest is home to a large colony of flying foxes that call it home from September to March every year. Each night is an exciting spectacle of wildlife, with bats often numbering in the thousands leaving their base and heading off into the surrounding forests to feed. There are easy walking tracks to follow and the chance to spot other local bird visitors like the Wompoo Penguin, Figbird and White-headed pigeon. Even if you’re not “a birder” by nature and ticking off each species of bird is of little interest, just appreciating them in their natural habitat and the various sounds and intricacies of each species is reward in itself. Like all birdwatching, a calm and quiet approach is essential but by nestling your way into the forest canopy, resting next to waterfalls and close to flowering trees, many species of birds can be observed and enjoyed in their own environment, in all their natural beauty.